IWHC staff will be resting over the holidays and so will Akimbo. This is our last post until January. Thanks for reading and we’ll see you in the new year! 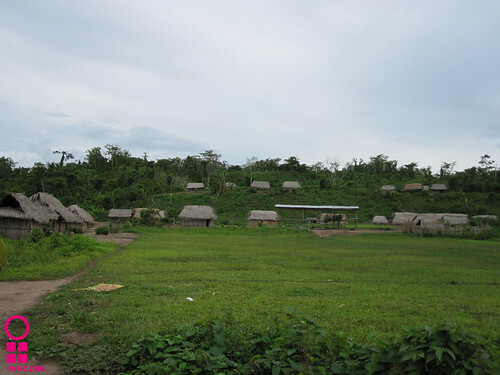 The Association for the Conservation of Cutivireni Heritage (ACPC) is a non-profit organization that works with the Asháninka people, the largest indigenous group of the Peruvian Amazon. Founded in 1987, with a focus on land rights, environmental protection, and preserving the cultural heritage of the Asháninka community, ACPC has since expanded its scope. 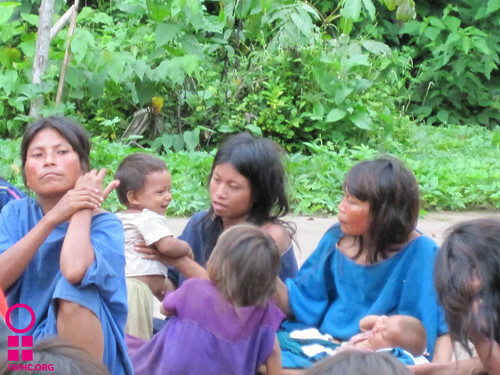 With the support of IWHC, the Asociación created a reproductive health program in 2002 to address the health needs and human rights of Asháninka women. Working closely with Asháninka communities in the Rios Ene and Tambo areas, ACPC’s reproductive health program educates Asháninka women, particularly young women, about sexual and reproductive health and rights. Through the program, Asháninka women are trained to act as community health advocates and as liaisons to the public health system and community leaders to ensure that health services meet the needs of the Asháninka communities. 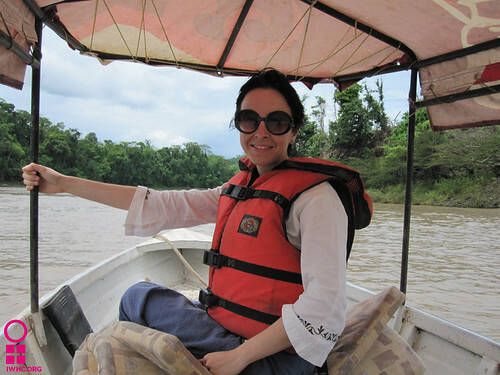 The following photos are from a trip IWHC Assistant Program Officer Lucina Di Meco (pictured below commuting to work in the Amazon) recently took to work with ACPC. To reach the Cutivireni community, where ACPC implements sexual and reproductive health programs with Ashanika women, you have to drive three hours on a dirt road from the nearest town of Satipo and about 7 hours on a large motorized canoe through the Ene River, heading upstream the jungle, surrounded by the amazing landscape of the Peruvian Amazon Forest. The community of Cutivireni is located on the Rio Ene. There are several thousand Ashaninka living here dispersed through the forested hills and valleys of the region, often several hours away from one another. With IWHC’s support, ACPC has empowered Ashanika women of these communities by encouraging their leadership and expanding their skills in the field of maternal health. 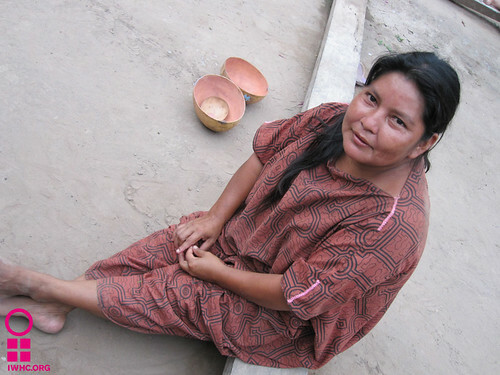 Maria is one of the indigenous women that ACPC has trained as community health promoter. Through ACPC’s training, she has learned not only about her body and rights, but was also empowered to speak up for herself and for the other women of the village and be respected. ACPC’s work has built the capacity of several women like Maria to know and identify risk factors during pregnancy, childbirth and post-childbirth and refer them to local health facilities. These measures have the potential to reduce maternal mortality, which for indigenous women in Peru is calculated to be around 292 deaths each 100,000 live births (link to PDF) (for reference, the number of maternal deaths in industrialized countries is about 10 each 100,000 live births (link to PDF)). 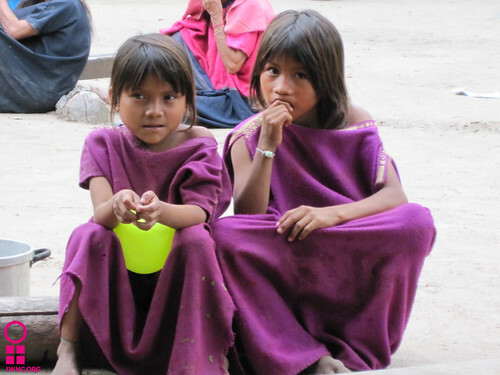 Deeply respectful of Ashanika culture and traditions, ACPC promotes the implementation of culturally-sensitive health services in Peru, fostering the recognition of indigenous people’s cultural identity and advocating of the improvement of indigenous women’s access to health services that will continue having an impact for generations to come. Audacia Ray is a former Communications Officer and consultant for IWHC.